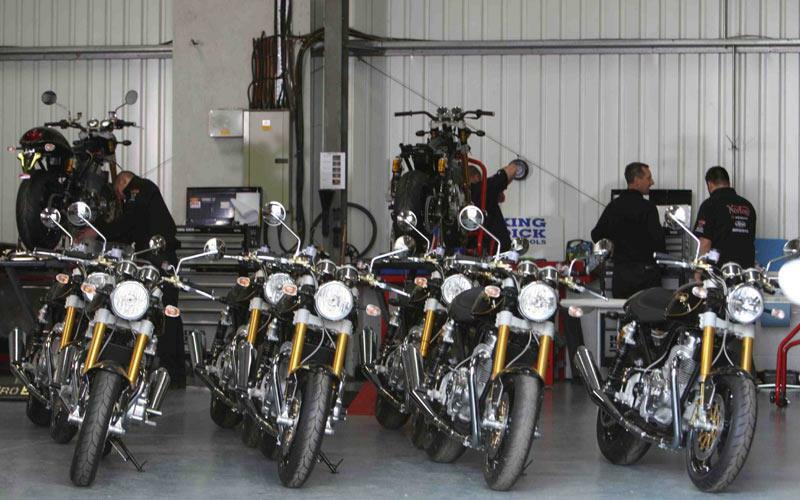 This is the picture that sceptics thought they'd never see and proves reborn Norton is now in full production. In next week's MCN, out on Wednesday June 2, we get exclusive access to Norton's factory, and watch production of the £15,995, 961 Commando SE. Around 30 examples of the retro-styled, twin cylinder roadster have now been completed, with 20 already delivered to customers. After a recent round of recruitment Norton now employs around 30 people, just 18 months after the Norton brands were taken over ands the project set up from scratch by East Midlands entrepreneur and MD Stuart Garner. With the firm currently recruiting additional design, engineering and assembly personnel and with Norton now in the early throes of developing its ‘next’ model, Garner expects the workforce to double by the end of the year. For the full story, interview with MD Stuart Garner and details of Norton's rotary future, see next week's MCN, out Wednesday June 2.